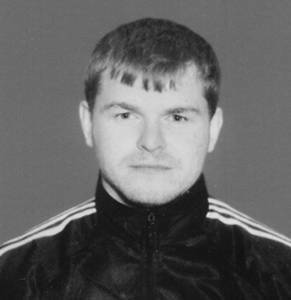 Shakhbulatov Doka Movdiyevich, 1971. kidnapped in July, 6, 2004. Appeal of Dagman Shakhbulatova-mother of kidnapped son for all who can help in finding her son or inform his location. In connection with the known events on the territory of Chechen republic (hostilities of 1999 – 2000…) my family (she has eight children) and me were made to live on the territory of Ingushetiya.Living in Nazran,Ingushetiya as refugees,my son Doka and me were making our living with trade of bakery goods on the market «Markhaba»,near bus station in Nazran. We cooked the bakery goods themselves. In July, 6,2004,at about 18:00,my son,Doka Shakhbulatov was kidnapped not far from Nazran bus station,near trading house «EVROKO»,in Moscowskaya street by some unknown camouflaged and armed persons. They were in two autos «VAZ – 21099»,without licence number plates and with darkened glasses. By my application,Nazran procuracy instituted legal proceedings by fact of my son kidnapping. But the investigators make nothing to try the given case. All my efforts and attempts establish my son’s location resulted in nothing. My son has never been bringing to a militia office,never been on the list of wanting by the authorities. He has not bound up to any criminals. And from 1991to 1994,Doka Shakhbulatov was being OMON member of Chechen republic. I appeal to all of you,with hope to get help in finding of my son.